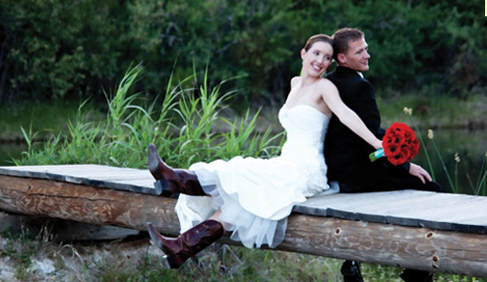 Located on 640 acres of Sonora Desert with a backdrop against Saguaro National Park and Coronado National Forest, Tanque Verde Ranch provides an authentic Western experience to all their guests. The rich and colorful history of this Arizona dude ranch begins with the Pima Indians. 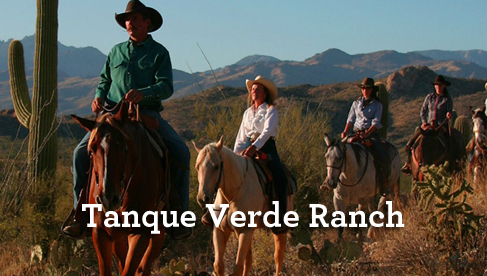 The "Tanque Verde" Ranch is named for the "green pool" and seasonal river that the Indians used as a source of water. They left behind numerous mortar stones and other artifacts as testimony to their passage. In 1868 the land surrounding the tanks was purchased by Emilio Carrillo, a Mexican hacendado (the owner of a large estate) from Santa Cruz. After Carrillo's death in 1908, Jim Converse owned the ranch and began inviting eastern dudes to participate in everyday ranch activities. He further extended the business in both the production of cattle and the involvement of tourists until 1955. In 1957, Brownie Cote purchased the property. 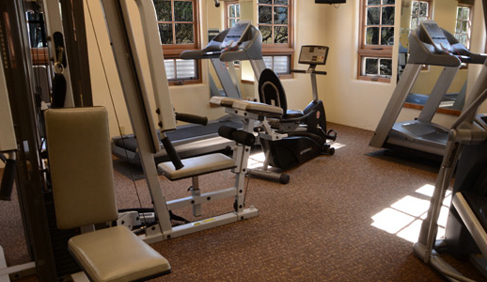 He expanded on the existing operation and developed the property into a successful combination of classic western dude ranch and world class resort. In turn, he began a legacy of quality and unforgettable experiences that the Cote family continues to maintain still today. 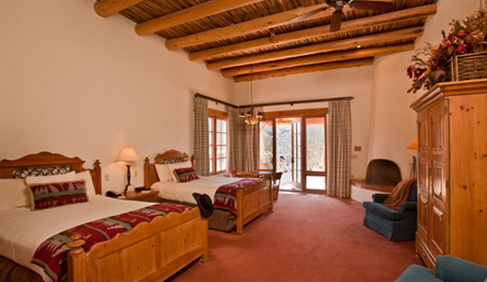 Traditional adobe walls and Santa Fe style architecture perfectly complement the beauty of the natural surroundings. 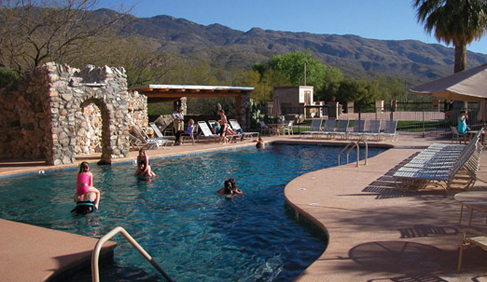 Tanque Verde lodging is comfortable and inviting, combining the spirit of the Old West with today’s modern amenities for your Arizona ranch vacation. 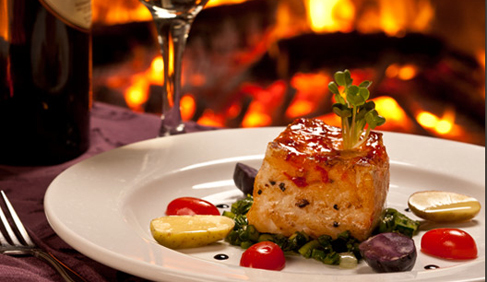 Discover several exquisite culinary adventures at Tanque Verde Ranch. 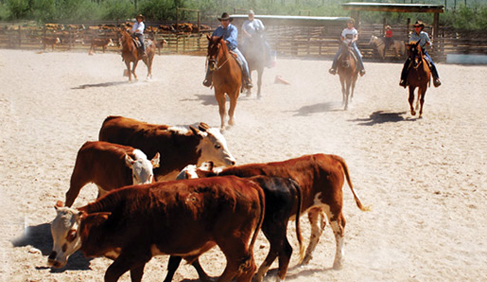 Three meals at this Arizona dude ranch resort are prepared daily by their master chef and his team of talented Ranch Cooks. Besides the three gourmet meals served each day in the dining room, several indoor and outdoor specialty dining events are held each week. 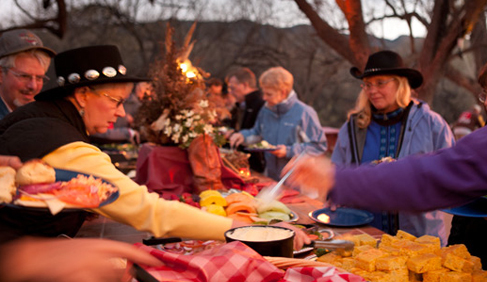 These special events at this Arizona dude ranch include the Old Homestead Breakfast Ride, Mexican Fiesta Night, and the Cottonwood Grove Ranch Barbeque with live entertainment. 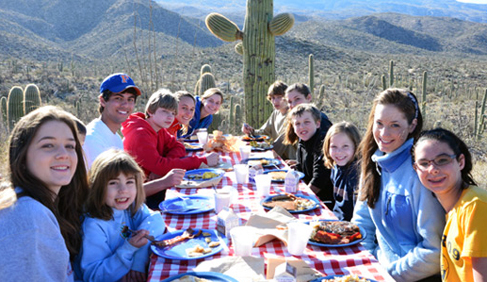 Indulge in mouth-watering southwestern cuisine while also taking in the authentic dude ranch atmosphere of Tanque Verde Ranch! 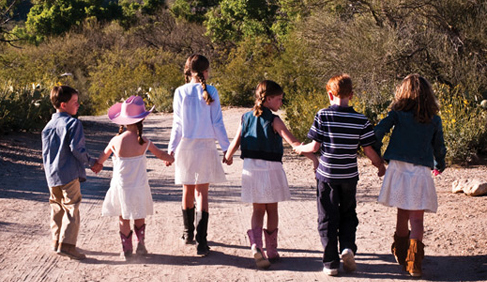 Tanque Verde Ranch is famous for its' variety of equine activities, providing walk rides for everyone, regardless of skill level. Our Loping Rides, beginning with a lope check for skill level, allows visitors to truly channel the cowboys, and cowgirls of the Old West. 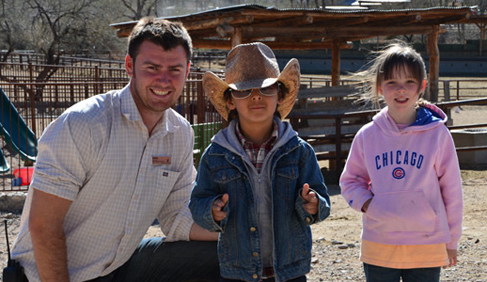 Our Harmony With Horses program will provide guests with extensive horsemanship skills, improved riding ability, better self understanding, and one of the most unique vacation experiences, right here on the Ranch! 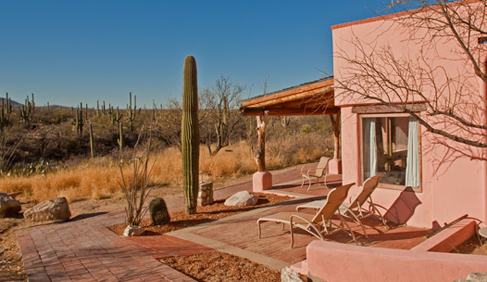 In addition to our horse programs, our guests can mountain bike, hike, fish, visit our nature center for a true desert education or just relax at the pool in our incredible Sonora Desert environment. 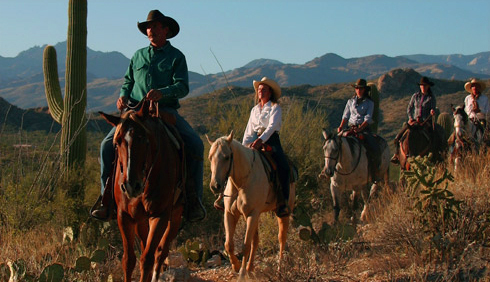 In addition to horse riding, guests at this Arizona dude ranch can enjoy the ranch spa, fitness center, basketball and tennis courts or mountain bike, hike, fish, visit the nature center for a true desert education or just relax at the pool in the incredible Sonora Desert environment. Tucson offers a plethora of unique shopping areas to discover, with art galleries, craft stores, souvenir stands and antique shops. Wander through popular retail destinations where you will find authentic and one-of-a-kind items. For those who enjoy a more modern shopping experience, the Tucson Mall is home to many popular retailers. Tucson is home to several professional hot air balloon ride establishments. Float up into the air and look down over the breathtaking desert landscape and enjoy a peaceful sunrise or a fiery sunset. Few sites are as memorable as the Sonoran Desert and Arizona mountains from a bird's eye view. SkyNights is a popular after-dark program that takes advantage of the unique capabilities of theSkyCenter for experiencing the heavens. The SkyNights experience is offered virtually every night throughout the year. Learn the constellations, observe interesting atmospheric phenomena, and view the wonders of the cosmos from a high-quality astronomicalsite using an outstanding 32-inch telescope. Mount Lemmon offers extraordinary scenic views of the desert and mountains, whether you’re downhill skiing in the winter or hiking in the summer. Only an hour's drive from the Ranch, Mount Lemmon is a great place to experience with family or friends during your stay at Tanque Verde. Visit a natural history museum, world-renowned zoo and botanical garden all in one at the Arizona-Sonora Desert Museum. Boasting 21 acres of desert landscape, 1,200 different varieties of plants and 300 animal species, you won’t want to miss out on this unique and educational experience. Walk the very same streets in Tombstone, Arizona that Doc Holliday, Wyatt Earp, Johnny Ringo, Ike Clanton and a host of other Western Legends walked over 130 years ago. Tombstone is considered the most authentic Western Town left in the United States and includes some great museums, gun-fight reenactments and tours. Find out why it is considered "The Town Too Tough to Die." 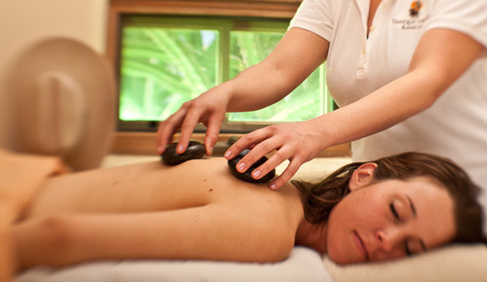 Travel Agents Accepted- This ranch works with travel agents!